Ruby or Manik is a gemstone of 'Corundum' family and is attractive because of its luster, crystal lucid and transparent. Ruby is found in a variety of crimson and cherry red colors ranging from pink to deep ruddy violet color. Ruby associated with the planet Sun gives all round success in life and improves leadership qualities, brain capabilities and concentration. Therefore, it is used to drive away different stress related problems like Insomnia, Hysteria etc. 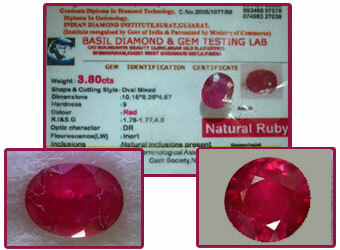 Ruby is a gemstone of love and is said to give name, fame, virtue, vigor, warmth and commanding power to its user. Ruby gemstone should be worn on a Sunday in copper or gold in the ring finger. 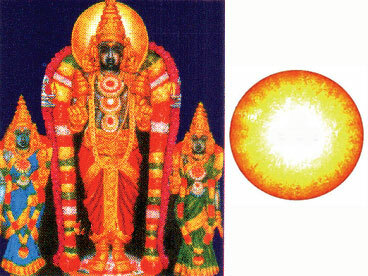 Ruby is suggested for one who has Virgo as their solar sign.